The nitro group is inarguably the mother of all functional groups. It has character. It is not dull. Synthesis-wise, we can do lots of marvelous stuff with nitro derivates. Aliphatic nitro groups can be deprotonated in the alpha-position and turned into mighty nucleophiles, and aromatic nitro compounds… aah, there is so much. One reaction that springs to mind: The Bartoli indole synthesis. Check it out if you have not done so before and especially take a good look at the proposed mechanism – it is a beauty. According to the good old “the more, the merrier” principle, I would like to grab the opportunity and list three obscenely nitrated substances. If anybody knows the mechanism for this transformation – please enlighten me! Oh, another thing, is tetranitromethane an organic compound, strictly speaking? I don’t think it is. It has no C-H bond. Cubane is the tiniest cube an organic chemist can imagine. Add to it eight nitro groups and we have the angriest, tiniest cube conceivable. Look at the structure – talk about a nano bomb! Can’t you see how unhappy it is? Small samples of octanitrocubane have actually been prepared, and it appears to have 2.7 times more oomph than TNT and it detonates at 10,000 m/s. That is pretty remarkable. Yes, inorganic chemists call amines amides, which is a tad confusing, but just something we have to live with. That aside, trinitramide was discovered last year by researchers at my old school, The Royal Institute of Technology (DOI: 10.1002/anie.201007047). Actually, the correspondig author Tore Brinck and I have worked together in the past (see here). This remarkable finding attracted quite some attention even in semi-mainstream media, such as this page. If it really turns out to be the next generation rocket-fuel that everyone is hoping for, I can always say I know the guy who discovered it. Cool, huh? More oxygen per weight than liquid oxygen? Wouldn’t oxygen’s weight/mass be 100% oxygen, but tetranitromethane’s would only be… 128/196? Per volume though I could definitely get, since the ratio of their densities is like 1.5 or so. At least closer to right. Andy, you are entirely right. Thanks for pointing this out. I have updated the post. 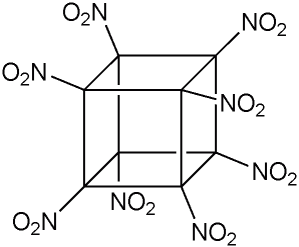 tetranitromethane is in equilibrium with nitronium NO2+ and nitroform anion (NO2)3C(-): the nitration of styrene is not really a surprise, any nitronium salt with weakly-coordinating anion (tetrafluoroborate) would probably nitrate styrene in similar fashion. 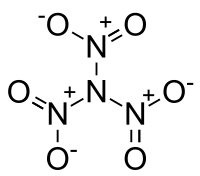 The slow hydrolysis of tetranitromethane to nitroform and nitric acid by moisture is a problem, nitroform is far more shock sensitive than tetranitromethane and nitric acid acidity also make things difficult. 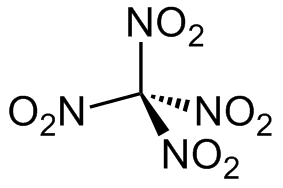 Hydrolytic de-nitration of trinitroamine would happen even more easily, dinitroamine anion is perfectly stabilized so trinitramine will have a character of mixed anhydride. Milkshake, your comments are jam packed with insights as usual. 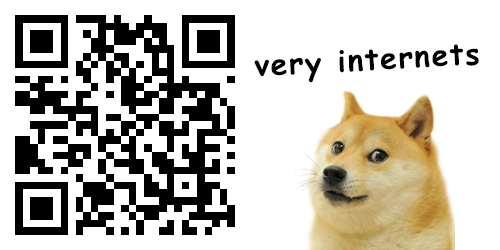 With you onboard, this page is truly peer reviewed! 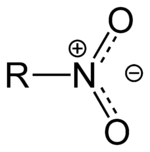 I read some more about nitroform just now, and I certainly learned something new: The anion of nitroform may be aromatic(!!). That is bizarre.